Teaching has been one of the reputed professions and teachers have always played the role for social changes in the society. A teacher requires comprehensive training to be expertise in the teaching profession. It is just a myth that anyone can teach if they have some knowledge about subject. A teacher should have some qualities friendliness and congeniality, a good personality, deep knowledge and a great education, a good communicator, a good listener, a good sense of humor, kindness etc. because knowledge of subject is not enough for a good teacher. The basic goal of Teacher Training courses is to prepare students to be effective and efficient teachers by giving training to teaching techniques and education. There are many areas of specializations as teaching profession which needs different skill and training. Some of them are nursery schools, middle schools, high schools, colleges and universities. To enter these special areas of teaching, teacher should have Nursery Teacher Training (NTT), Basic Training Certificate (BTC), Diploma in Education (D.Ed.) and Teacher Training Certificate (TTC), Bachelor in Education (B.Ed.) and Master in Education (M.Ed.) certificates and degrees courses that help to get a teaching jobs. Due to lack of knowledge students do not find best universities and colleges which offer teaching training courses in India. 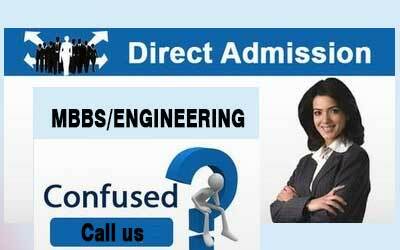 At RKIMT, we assist to counseling the student to direct admission in B.Ed., D.Ed., NTT and M.Phil. in top universities in India.